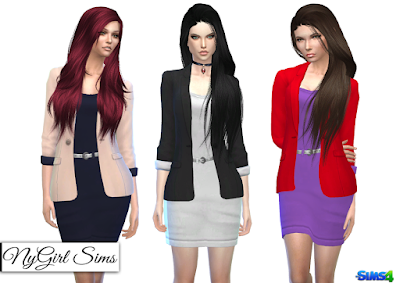 A simple mini dress with blazer in bright and bold contrasting colors. Mesh is from the Get Together Expansion but is base game compatible. Expansion is not needed. Made from a mixture of TS4 textures. Comes in 25 color combinations.